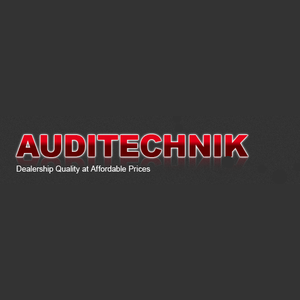 Auditechnik are repair specialists of VW, Audi, Peugeot, Citroen, Seat and Skoda vehicles. We have over 60 years combined experience and our technicians pride themselves on giving the best advice for the cheapest price. We employ 5 fully qualified technicians and use the most up to date diagnostic equipment, which comes with a technical support service. All vehicle services and MOTs are available, repairs, electrical repairs, air conditioning, brakes, clutches and tyres. Our diagnostic system will test every component, not just the ones the computer indicates as faulty. Our technicians can recreate faults you describe in order to solve them. Protect your manufacturers warranty without paying dealership prices. We keep all replaced parts for 7 days should you wish to inspect them. We also offer discounts for NHS staff, Armed Forces, Senior Citizens and Taxi Drivers.